Walking around Uptown this time of year is a treat for the senses, especially the olfactory ones. Jasmine, magnolia, and gardenia fill the air. I love to use these amazing scents inside too. 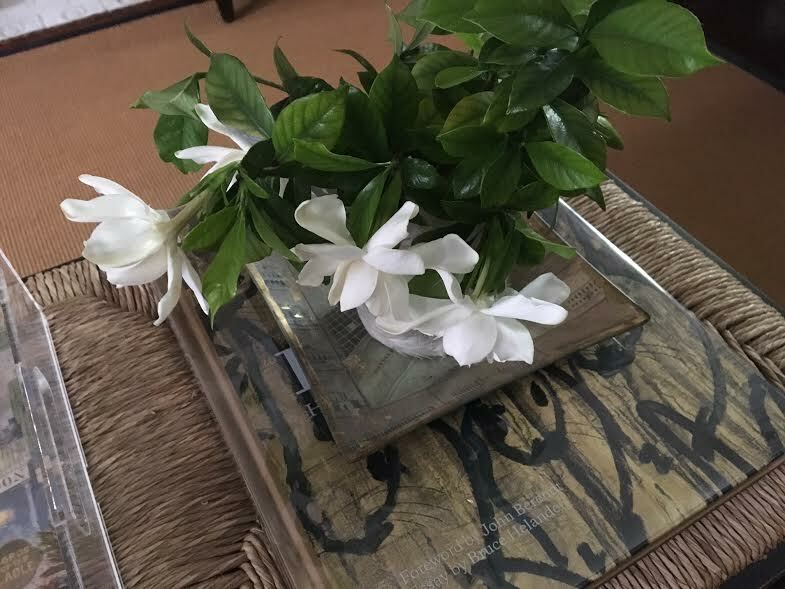 I love using cut (straight off the bush) gardenias. 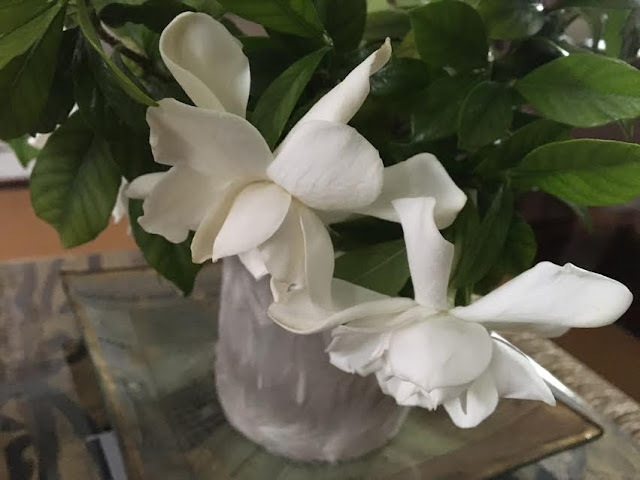 The fragrance is intoxicating. 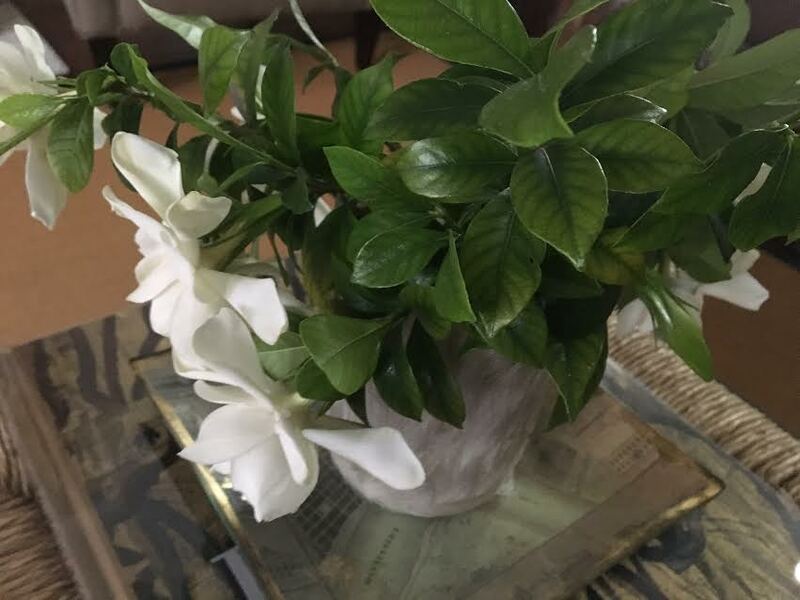 I only wish I had a gardenia shrub growing in my yard. Beautiful Ron! 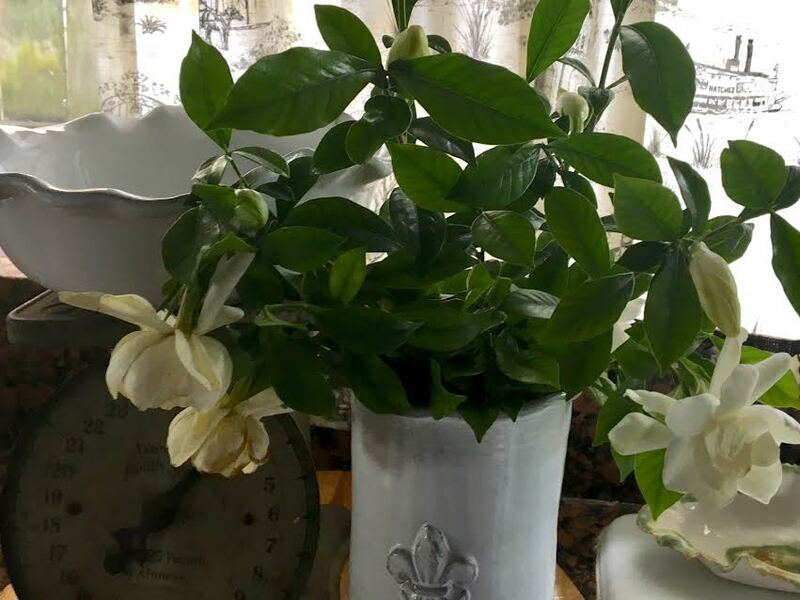 I need you to come and arrange some live flowers for areas in my house!